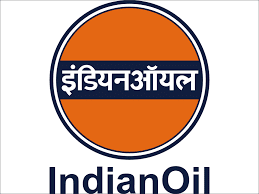 If you have Applied for India Oil Corporation of India Ltd for Trade Apprentice and waiting for your Result/Interview List then your wait is over now because IOCL Mathura Refinery has released Interview list of candidates Provisionally shortlisted for Interview on 29-6-2016. INTERVIEW SHALL BE HELD AT SR. EXECUTIVE CENTRE, MATHURA REFINERY NAGAR, MATHURA, UTTAR PRADESH ONLINE ADMIT CARD WITH ALL RELEVANT DETAILS FOR INTERVIEW SHALL BE EMAILED TO THE SHORTLISTED CANDIDATES SHORTLY. Candidate has to bring Originals of all Certificates / Testimonials pertaining to age, qualification, caste, etc at the time of Interview. One set of self attested photocopies of all Certificates / Testimonials should also be brought for submission.